Thank you Old El Paso for sponsoring this post. As always, all opinions are 100% my own. This Mexican Rice Recipe is our favorite Mexican side dish! 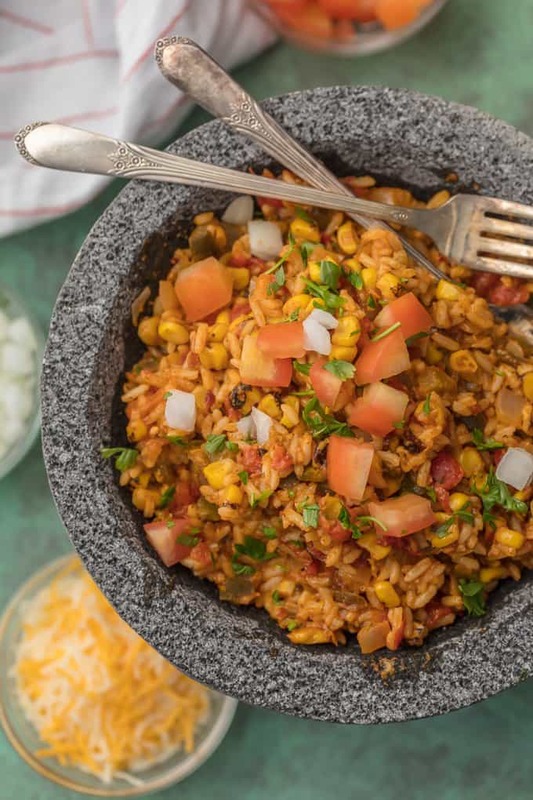 We are obsessed with this cheesy Mexican Rice loaded with all the best ingredients; pico de gallo, cilantro, CHEESE, onion, corn, green chiles, and more. 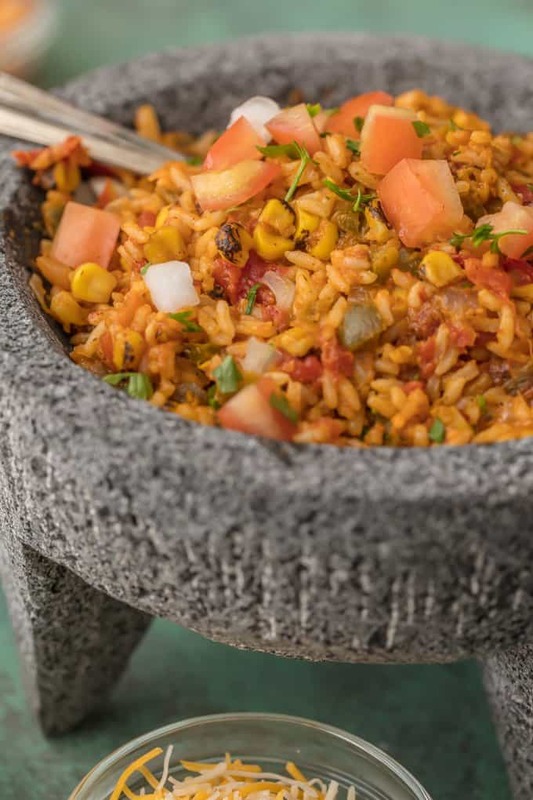 This easy Mexican Rice Recipe is one of the best side dish recipes for Cinco de Mayo. This Mexican rice recipe is sooo cheesy and delicious. 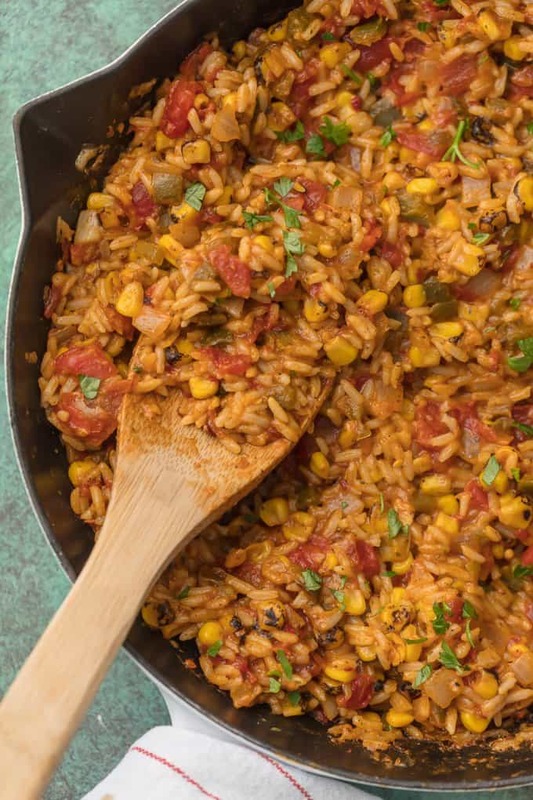 Perfect as a side for any meal, you’re going to love this easy Mexican rice! This cheesy Mexican Rice Recipe is something special. I have over 900 recipes on my site and I’m about to say something really serious. THIS CHEESY EASY MEXICAN RICE IS ONE OF MY VERY FAVORITE RECIPES ON THE COOKIE ROOKIE. I like every recipe I post on here. Every single recipe is eaten by our family and approved. But this recipe just seems special. I mean, it’s any time cheese in involved, I’m sold. 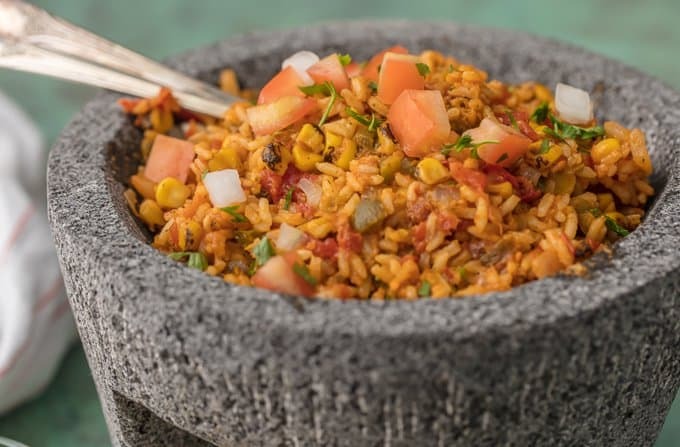 I’m so glad I learned how to make Mexican rice because this is the kind of super simple recipe I can see us making time and time and time again. I will definitely be making this easy Mexican rice recipe as a side dish for fajitas, tacos, or even just chicken breasts. I might even toss beef or chicken into the mix and make it a main course next time. It’s BEYOND delicious and so easy to customize and change up. I’m really proud of it and I hope you love this rice as much as we do! 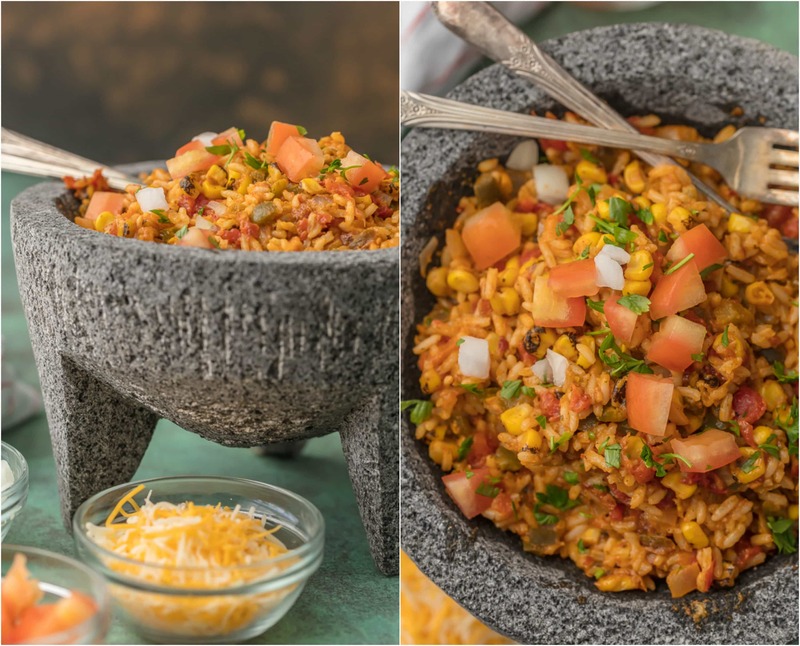 I’m in love with this cheesy easy Mexican Rice Recipe and I know you’ll love it too! It’s the perfect side dish for any feast. This easy Mexican Rice recipe is so good and so cheesy. 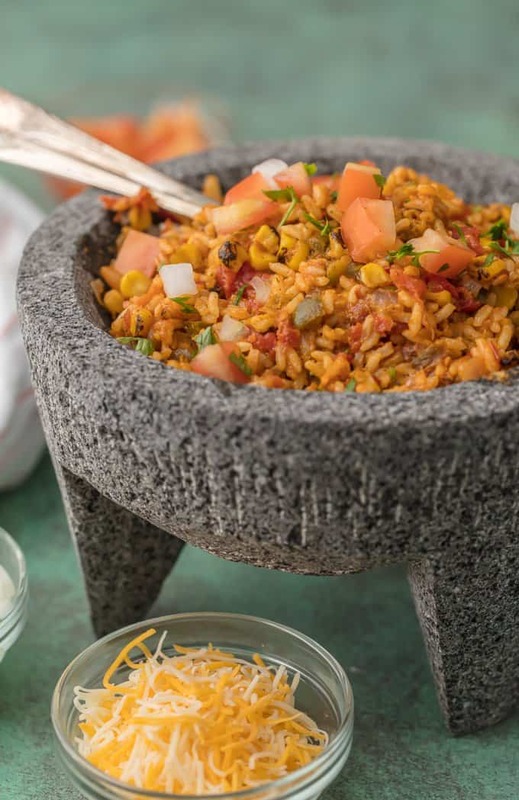 I love the flavors of classic Mexican rice, with all the best ingredients to add that spice. It goes so well with other Mexican dishes, so it’s the perfect side dish to make over and over again. I never get tired of it! Once it’s all cooked together, you’ll have the BEST Mexican rice recipe. I love how cheesy this rice gets, and all the ingredients really blend together to create the most amazing taste. What spices are in Mexican Rice? This recipe would be a whole lot more complicated without my fave brand, Old El Paso. Their Taco Seasoning (or Spicy Taco Seasoning if you’re feeling adventurous!) makes things so easy. 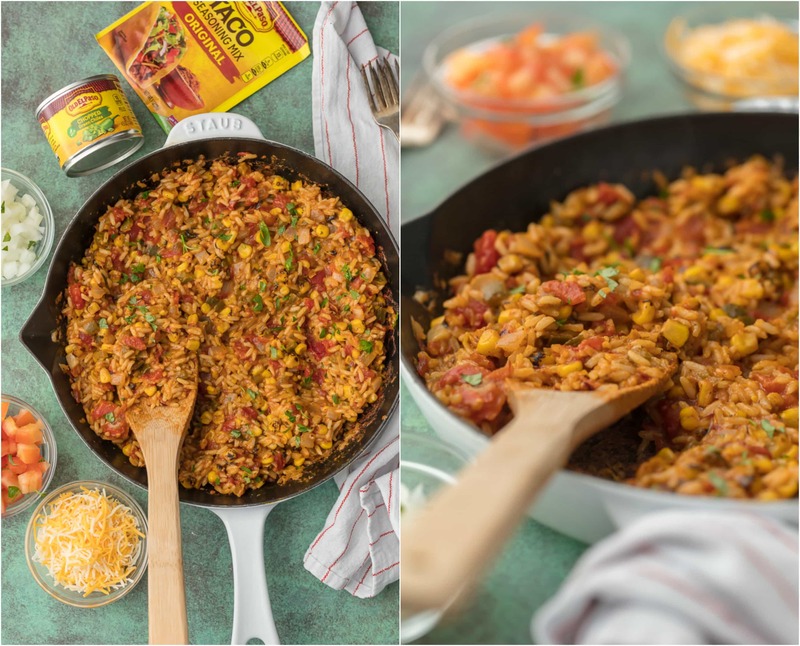 One ounce is all you need to make this Cheesy Tex Mex Rice just the right flavor. Their green chiles pack the perfect punch to kick things up a notch. Ugh, I’m just so excited for you to try this! 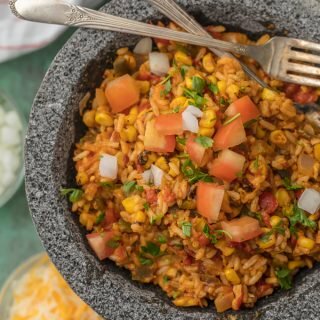 This easy Mexican Rice recipe is loaded with corn, green peppers, diced tomatoes, onion, green chiles, fresh cilantro, and CHEESE! It cooks down to a melty, caramelized, delicious side dish that I simply cannot get enough of. I wish I would have come up with this years ago. I need as much as possible of it in my life! I love that I can cook it up in just half an hour, and just like that, it’s ready to devour with tacos, chicken, fajitas, etc. It’s the PERFECT side dish for taco night! Which rice to use for Mexican Rice? White rice is the best rice to use for this Mexican Rice recipe. What is Mexican Rice made of? We start with the white rice. Then we add in a bunch of awesome ingredients to create that classic flavor we love. 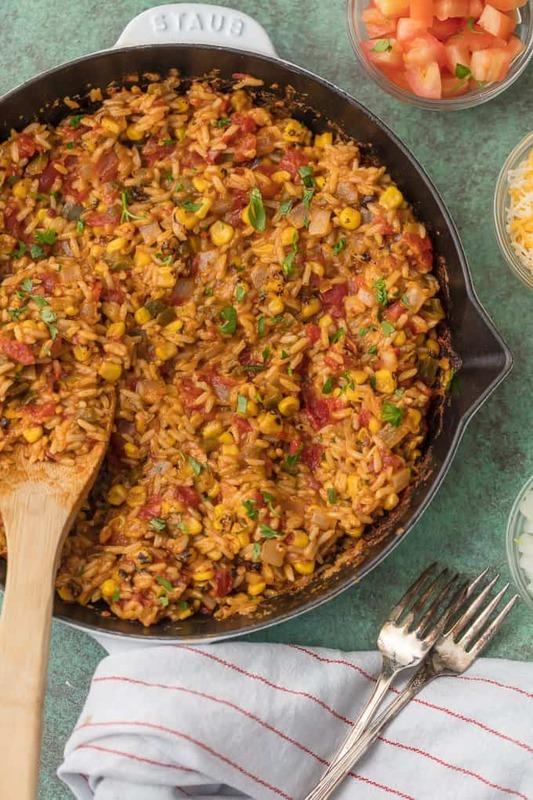 Drop whatever your dinner plans are and make this Cheesy Easy Mexican Rice Recipe TONIGHT! Pair it with your favorite Mexican dishes or layer it onto nachos, tacos, and more. It even works like a dream as a dip for tortilla chips. Watch the video or see the recipe card below for full details on How to Make Mexican Rice. Enjoy! Combine the cooked rice into a bowl with all the other ingredients, adding the cheese last. Stir until everything is fully combined. Allow to cook for 30 minutes, stirring and releasing from the bottom and sides every 5 minutes. Do not stir more than that, you want everything to caramelize. YUM! That cheesy crust forming on the side and bottom is the best part so be sure to scrape it all back into the rice. Serve garnished with more cilantro and freshly diced onion and tomato. Enjoy! Is the nutritional data per serving or for the entire dish? Yes it is. I’m having all sorts of problems with that data output, I’m sorry! I’m trying to figure a better app to use. Sorry about that! wow wonderful dish. Love it. 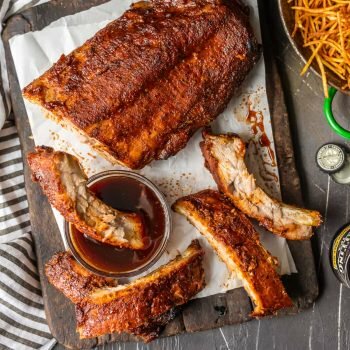 It’s 530 AM here and I’m already drooling over this recipe. I can’t stop thinking about those caramelized pieces…YUM. And the fact that it’s one of your favorite recipes on this awesome site has got me intrigued! I can’t wait to make it. Just tried this with a couple of twists, literally. 1. Used cavatappi, “corkscrew” pasta cooked al dente as rice substitute. 2. Diced up 2 jalapeños in lieu of green pepper, which I didn’t have on hand. 3. Added 1 1/2 # andouille sausage sliced into thin “coins” for more protein. Otherwise, used the noted ingredients and followed your directions. At what temperature is this meant to be cooked? Opps, never mind. It’s a stovetop recipe. Can it be done in the oven rather of stovetop? seems perfect dish to make at home keep sharing these kind of recipes. 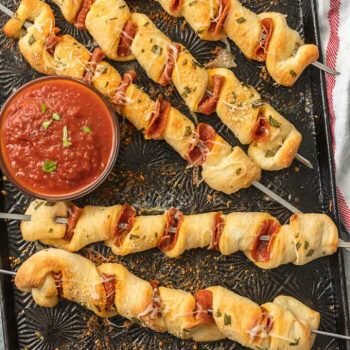 5 stars are less for this kind of amazing recipe this recipe deserves more than five rating! just fabulous recipe all my 5 star goes to this recipe thanks for sharing keep sharing with us!